The Premium Lag Switch from Premium Lag is the most affordable, responsive and reliable lag switch on the market today (not to mention the smallest). 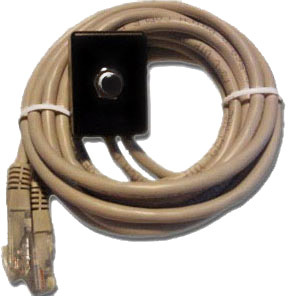 Our switches are built with ultra responsive spring loaded push buttons, highly durable hard-plastic cases and top quality 14ft Cat6 cable with reinforced connectors for extra durability. Unlike many other lag switches which can’t be connected directly to your Xbox 360 without disconnecting you completely, the Premium Lag Switch can thanks to our proprietary Stealth Shield Technology™. Best of all, it’s plug and play. Just swap it with your existing Ethernet cable and you’re ready to wreak havoc. No batteries, no wires, just more wins, more kills and more bragging rights. All lag switches ordered within the United States are shipped for free and come with a one year warranty and a 30 day money back guarantee. With all of those great features you can be sure that when you order from us you get the most for your money. Please note that despite our best efforts, some network setups do not work with Stealth Shield. In these cases you may connect the lag switch between your router and an Ethernet switch an enjoy it this way. It may be against the TOS to use this on some networks. Please check before buying.